…is the name of my favourite Paul Kelly song, but that’s not what this short post is about. 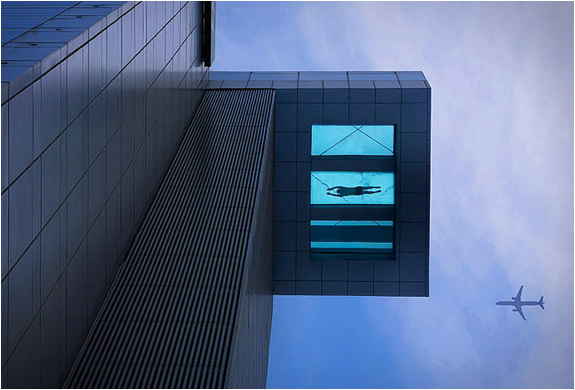 I first saw this on Bless This Stuff and thought it needed to be shared – it’s the hotel pool from the Holiday Inn, Shanghai. Yeah, whatevs, I hear you mumble – what can be so special about a hotel pool? I checked and they also have a turndown service and deliver a free newspaper to your room each morning. No pets allowed. Just don’t get confused and book the Shanghai Downtown Holiday Inn – they don’t seem to have a pool which makes their hotel seem, well, a bit crap in comparison. In case you don’t believe me, or if you want to find out more, the original Bless This Stuff post is here and the hotel website is here.